A patent is the single most important thing an inventor can possess, allowing him the exclusive right to make, use, or sell his invention. Translations Services USA knows the importance of intellectual property, and has helped countless inventors get their patents translated for exporting products overseas, or for importing overseas inventions back home. 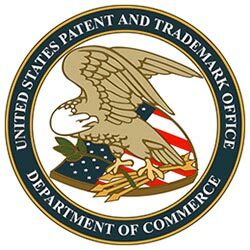 Patent translation has its own unique challenges compared to other translation methods, and only Translations Services USA has the experience and qualifications to get it done for you. Translations Services USA has been in the business for over 10 years, and in that time we've amassed a vast database of professional, native-speaking translators from all around the world. We hire translators with various specialties, and can help match you up with the best translator to convey all the technical and legal information necessary to get your patent translated fully and correctly the first time. We realize that patents can be owned by everyone from the largest multi-national corporations to the hobbyist inventor working out of his home, and so we're prepared to work with you to translate your patent to or from any language, in a way that best fits your needs and budget. Translations Services USA offers certification and notarization if required, so be sure to explain your needs when requesting a free quote. Don't know what you need? Get in touch with one of our representatives by using the quote request form and we can discuss your project's requirements and find out exactly what you need to protect your work.